No doubt you’ve heard of Tolkien’s Elvish, Klingon from Star Trek, Game of Thrones’ Dothraki, and maybe even Sir Thomas More’s Utopiensium Alphabeticum from Utopia. Perhaps the most famous example of an invented or “artificial” language is Esperanto, whose heyday was in the interwar period. At that time, along with the League of Nations, hopes flourished that an international language could help promote world peace. 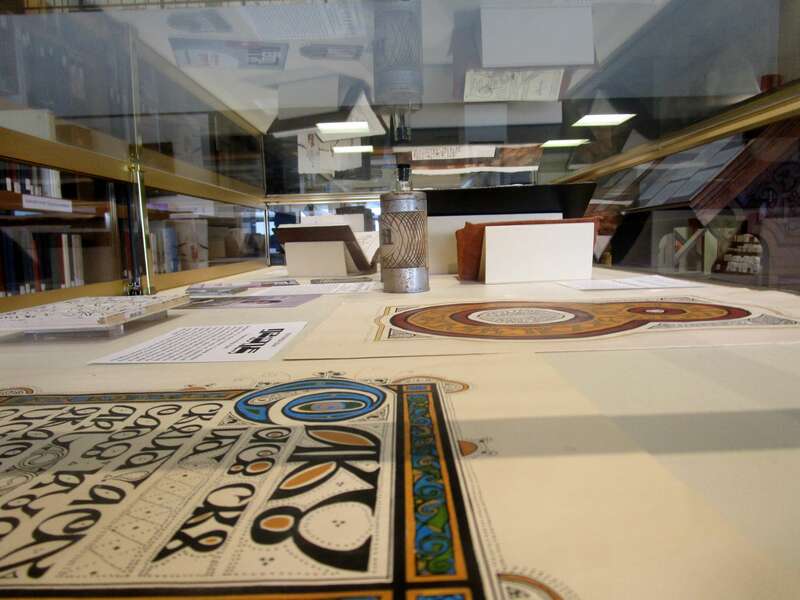 This history is explored in Language Architects Through the Ages, an exhibition at the Rossell Hope Robbins Library on the 4th floor of Rush Rhees Library, at the U of R, curated by professor of English Sarah Higley. Browsing the cases, you encounter twenty-some imaginary languages: historic, esoteric, literary, contemporary and even some spoken by only one person. The earliest substantial and intelligible invented language is by Hildegard of Bingen called the Lingua Ignota (unknown language–it’s composed of 1012 nouns). Hildegard, an abbess, mystic and now saint, most recently captivated popular attention through a 2009 film Vision (dir. Margarethe von Trotta). From the fifteenth century, we see a facsimile of the mysterious Voynich manuscript, a medieval masterwork whose encryption has eluded super computers that can defeat chess grand masters. In the Early Modern period, John Dee recorded his “Angelic Language” (later called “Enochian”) with the help of his scryer Edward Kelley. Dee’s conversations with angels and his occult alphabet landed him in trouble with witch-hunters in Elizabethan England. 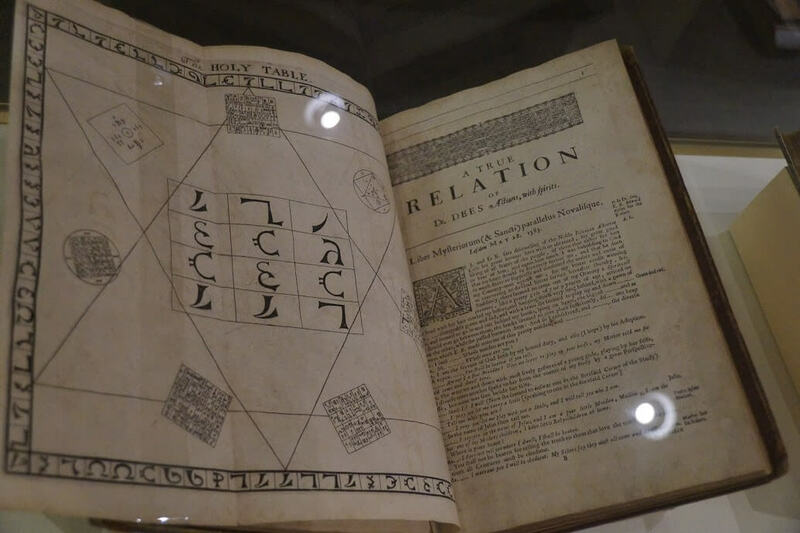 Also exhibited is a seventeenth-century translation of Cornelius Agrippa’s Three Books of Occult Philosophy first published in 1510 recording some magic alphabets (from the Rare Books collection). Closer to home, the prominent Rochester family, the Bragdons, also features. Eugenie McCaulay Bragdon (1870-1920) practiced a form of spiritualism known as psychography, whereby the writer becomes a medium for spiritual forces. Her “automatic writings” were collected by her husband Claude Bragdon after her death, and published in a slim volume known as “The Oracle,” parts of which are on display. 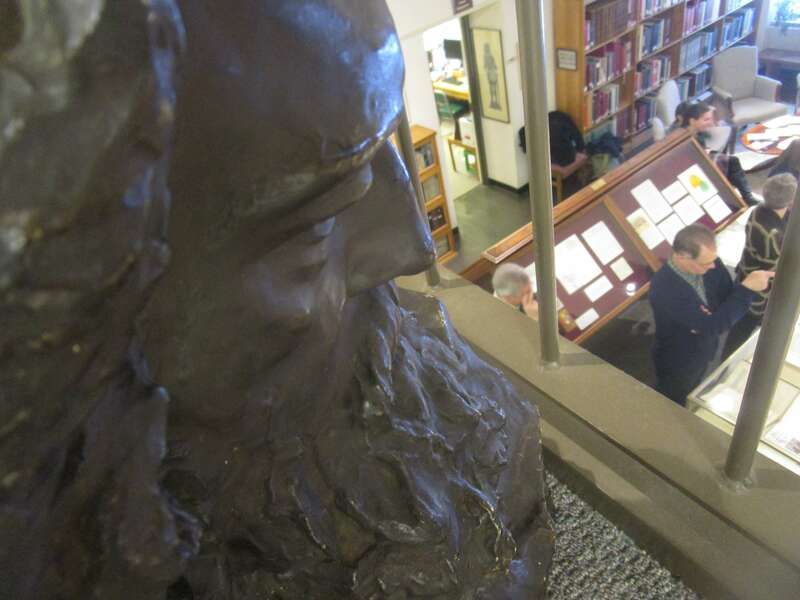 Rush Rhees ‘s Rare Books has a sizable collection of Eugenie Bragdon’s original papers with her automatic writing on it, one of which is on display and transcribed by Exhibits Manager Travis Johansen. For more on Bragdon and her status as medium and relationship to Adelaide Crapsey (and her spirit), see James Caffrey’s piece, Alone in the Dawn. 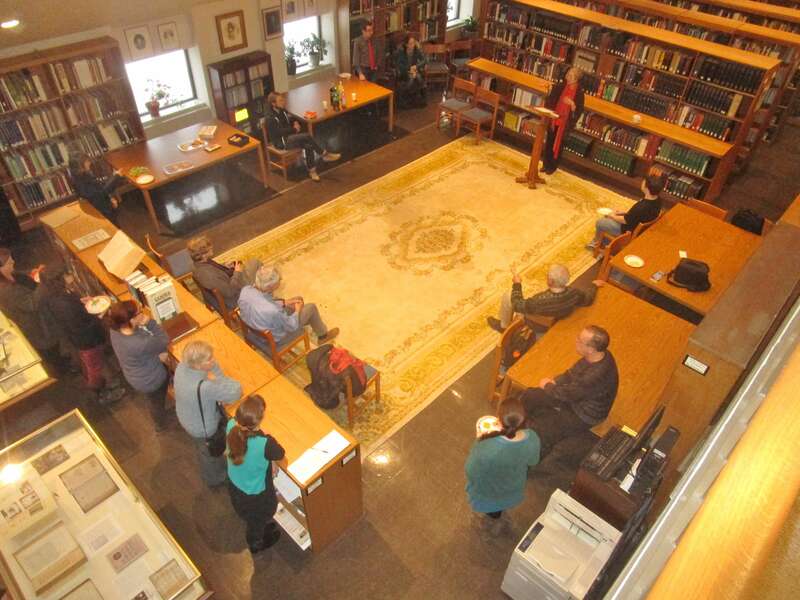 In addition to materials held in the Rossell Hope Robbins Library, the Rush Rhees Rare Books, Special Collections, and Preservation department and from Higley’s own collection, the exhibition also features original works by language inventors and artists on loan from the creators themselves, including Britton Watkins, inventor of Siinyamda, Steven Travis, inventor of Tapissary, Michael Bacon, inventor of Kardak, and Trent Pehson, inventor of Idrani. 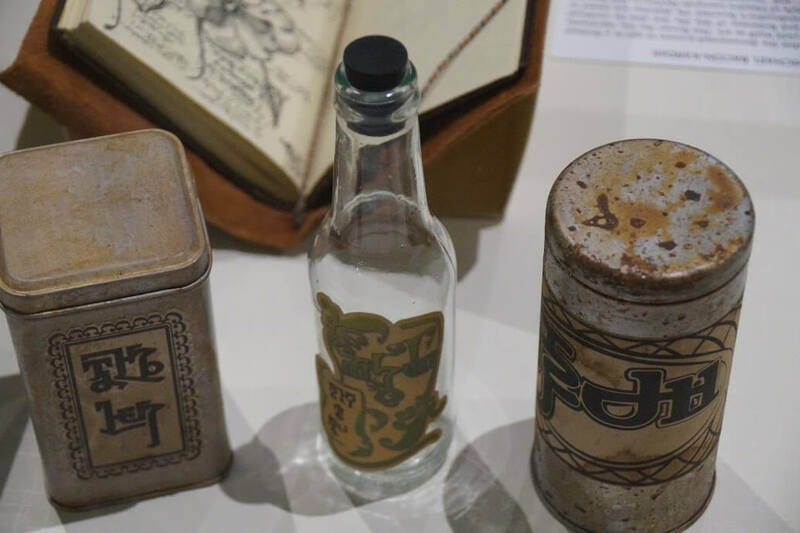 What makes these objects so compelling is their invitation to consider language not just as a vehicle for spoken and written communication, but as a visual art in its own right. 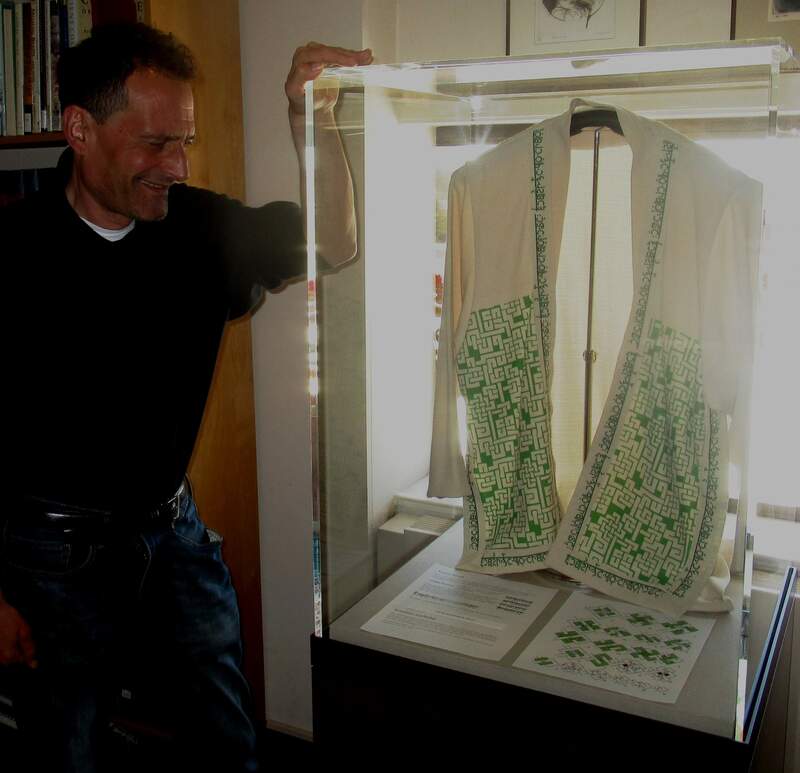 My favorite language and object in the exhibition is Sylvia Sotomayor’s Kelen, an interlace script that uses no verbs, here seen embroidered on a robe. Writing without verbs is no easy feat: That mod shirt [would have] the Town [Talking] at the Lilac Festival.